Why employment relevance matters in higher education? This week I am posted a guest article by a friend and colleague, Dr. Senthil Nathan, Deputy Vice Chancellor/ Vice Provost,of Higher Colleges of Technology in the UAE. It’s a thought-provoking piece on higher education and employment relevance. Please read and react by posting your comments. However, a 21st century debate that needs to occur within academia around the world should be on “Why employment relevance matters in higher education”. Data from around the world are incredibly strong to suggest a significant and still growing gap between what the business expects and what educators provide in terms of skills of graduates. According to a recent McKinsey report, only 42% of employers and 45% of the students worldwide believe that new graduates are adequately prepared for the world of work. On the other hand, 72% of the educators believe that graduates are adequately prepared for the job market. This is indeed a serious gap in perception. a) In the United States, since the 2008 financial crisis, President Obama and several state governors have pointed out to growing skill gaps. In their recommendations entitled “Prepare the American Workforce to Compete in the Global Economy”, President’s Council on Jobs and Competitiveness (Jobs Council) provides evidence pointing to this growing skills gap. Many of the 3.3m jobs in the USA are going unfilled for lack of qualified workers particularly in the technical specializations. There are important recommendations in this executive summary for US leaders in education to consider seriously. c) India: Interestingly and somewhat ironically, this skills gap seems to be the most acute in the so-called “outsource haven” of India. “The shortage of appropriately skilled labor across many industries is emerging as a significant and complex challenge to India’s growth and future. According to National Association of Software Companies, each year over 3 million graduates and post-graduates are added to the Indian workforce. However, of these only 25% of technical graduates and 10-15% of other graduates are considered employable by the rapidly growing IT and ITES segments. India would require a workforce of 2.3 million employees in the IT and ITES sectors by 2015 – however, over the past 15 years, India has produced only 1.6 million professionals and faces the uphill task of producing another 0.8 million in the next two years.” http://www.onefoundation.in/papers.php. Over the next few weeks, I plan to address the following topics in more depth. 1) Should educators take more responsibility for the employment of their graduates? The McKinsey report’s surveys indicate that linking students to employment opportunities is just a middle priority for education providers. 2) How should the governments intervene in addressing this widening skills gap? Creating employment opportunities and producing employable graduates – are these not two sides of the same coin? 3) To what extent employers be more proactive rather than simply leaving this gap to be addressed by the educators and the government? Can the employers collaborate much more actively with regional colleges and universities to help produce the graduates with the right skills – by divesting some of their entry-level training budget to sponsoring such collaborative academic programs? 4) How can youth (and their parents) take on more responsibility in making the right choices for their career programs? While the number of jobs in STEM majors continues to rise, only a small % of US students pursue these programs. Similarly, while there is a demonstrated need for significant number of graduates in vocational trades in the Middle East, social perceptions pressurize students to pursue academic programs. For these future discussions, I welcome input from my learned colleagues from business and academia – particularly on best practices that they may have experienced in each of these areas. As many of you know, I will be leaving Ankabut when my contract expires at the end of September. It’s been a great four years, but it’s time to do something new. As I have told many of my friends and colleagues I wanted to do something that would use all the skills and knowledge I have gained over the past 40 years. I, along with a current senior higher education administrator in the UAE since 1993, are forming an education management-consulting firm called Edu-Alliance, LLC here in Abu Dhabi. The questions most asked are; what is this firm going to and who are potential clients? Edu-Alliance’s mission is to help develop national capacity in the areas of education, training, and human development in the Middle East (GCC) and North Africa (MENA) region by creating effective and sustainable alliances between organizations in the region with the best-in-class international organizations and experts. We will provide an exceptional network and alliances for emerging UAE, GCC and MENA institutions. We will provide value added services to international organizations in establishing win-win partnerships with regional institutions involved in capacity development. In early August we will launch the website and finalize taking space in Masdar City just outside of Abu Dhabi. 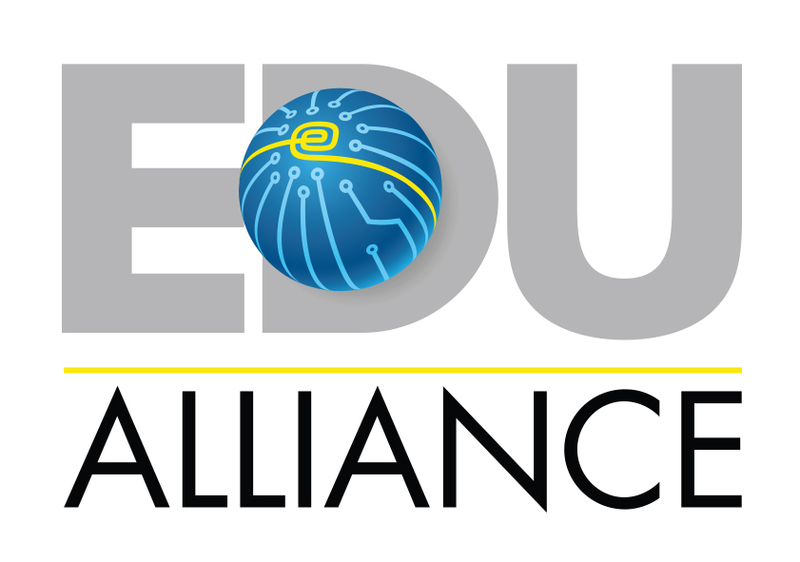 We will formally launch Edu-Alliance by the end of September. It’s exciting times but still much to do. We are identifying potential experts who will be consultants based on the project and expertise our clients need. If you are interested in being a part of our team, just email me at my personal email at deanhoke@gmail.com and make sure to send a letter and CV telling me of your interest and background. We will get back with you to discuss acting as a consultant further . Also, if you are an organization that wants to know more how Edu-Alliance can best serve you please contact me at the same address or call me at +971-50-641-0237. The other item we are finalizing is the logo. We have cut it down to two and I am asking you as well as others, which do you think best identifies Edu-Alliance: Option 1 or Option 2. Post your vote in the comments section of this posting of Hoke’s Notes. My partner and I will make the final decision in the next two weeks. I will announce in Hoke’s Notes the winner and a date of the launching of the site. I will continue to write this summer on the higher education activities in the UAE and the region over the summer. There is significant change occurring and the upcoming year for the education community will be very interesting. I look forward to hearing from you.